It's A Baby Boy For Karen Igho! Big Brother Africa 6 (Amplified) co-winner, Karen Igho Rakos has welcomed a baby boy with her husband, Yaroslav Rakos. The actress, OAP and new mother, delivered the baby at Mount Sinai Roosevelt hospital in New York City on Saturday, July 4, 2015 - just a day after she wrote a heartfelt letter to the unborn child. 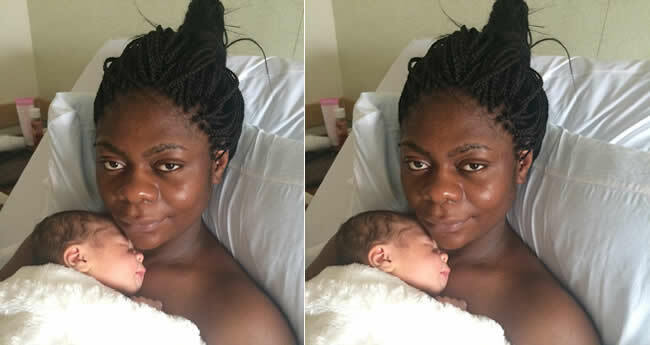 big brother Africa 2015 edition co-winner Karen igho Rakos and Yaroslav Rakos welcomes newly born baby.